We’re just over a week into 2019 and we’ve been very busy, with project boxes leaving and returning to our office as new ones head into schools and last term’s make their way back to us. We’ve also found time to publish the latest edition of our Book Bites newsletter for primary schools, which can now be found here for your reading pleasure. It’s a great way of finding out what we’ve been up to, what we’ve got on offer and what we might be doing in the future, do if you’d like to subscribe to receive Book Bites directly then please get in touch. After our pre-Christmas book advent countdown, normal service resumes here on the blog and below are some Friday Read recommendations from our team. If you’re after more suggestions for what to read, don’t forget you can find our archive just here. A bit late, maybe, for 2018’s commemoration of the Armistice, but this story will be enjoyed long after that event. 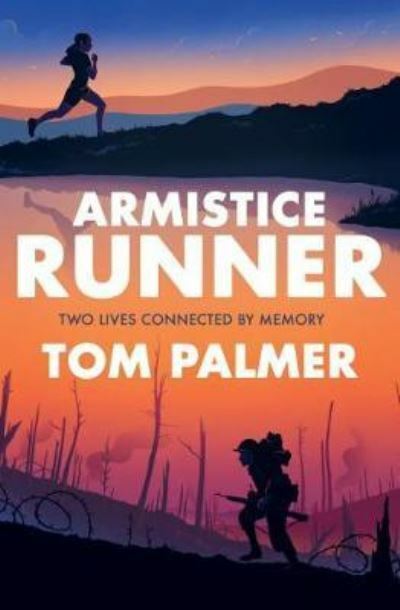 It connects young Lily, who loves running over the fells of the Lake District, with her great-great-grandfather, who was also a fell runner, via her gran, who although beginning to succumb to Alzheimer’s, has strong memories of her childhood. Truly moving and with an authentic feel which is strengthened by the author’s notes at the end of the book. It is a Barrington Stoke publication especially for dyslexic children, but it will be enjoyed by all. Top KS2! This story will be enjoyed by those who are looking for challenging and appealing themes like those in Kick by Mitch Johnson: such as football, poverty, the strength of friendship and family bonds. The setting is the USA, and occasionally there were words as strange to me as they would be to Sami, who has arrived in Boston after 3 years escaping from Afghanistan, with his only remaining relative, his grandfather. 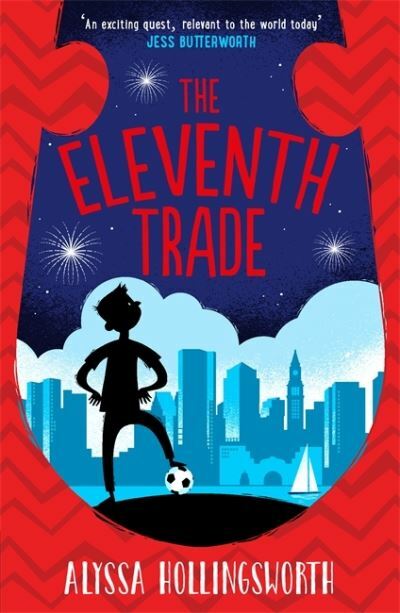 Sami’s tremendous resilience is tested when his grandfather’s precious instrument, his rabib, is stolen, and with the help of new friends and in this strange new culture Sami sets out to recover it. Top KS2/KS3. Another delightful tale about Madeleine and her friends, Madame Pamplemousse and Camembert (the cat) follows on from their first adventure (Madame Pamplemousse and Her Incredible Edibles) in Paris. Madeleine is living with the new owners of the restaurant that used to belong to her uncle. Life is looking good. She cooks when she chooses and sees her friends. However a thoroughly unpleasant man has become President of France and he wants to destroy all the wonderful places and buildings that make Paris the city it is. Madame Pamplemousse has disappeared, along with Camembert, and Madeleine is expecting something to spoil her happiness. It comes in the shape of Mademoiselle Fondue, who works for the new government. 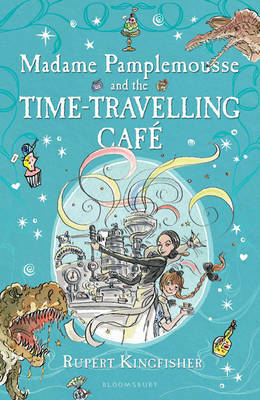 The Café of Lost Time is where Madeleine ends up when escaping this over-zealous official; all because of a box of matches. Drinking a cup of coffee from the time-travel machine, disguised as an espresso coffee maker, Madeleine is reunited with her friends as they gather a bizarre assortment of ingredients to revitalise Paris. This story is great fun to read. It would be ideal for independent readers. Whilst it could be read as a stand-alone, it would be preferable to read the series in order as there are some references to the first story. Previous Post It’s Christmas Eve (& Week 4 of our Advent)!